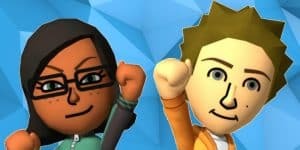 Friend Codes Still Available On The Switch | Nerd Much? Though the Nintendo Switch doesn’t release until tomorrow, Nintendo has already launched the console’s very first update. All well and good, but one feature is a small drawback. Friend codes are still the only ticket to adding a friend you’ve never played with before, who isn’t on a local connection, or a part of your friends in one of Nintendo’s smartphone apps. Granted, this problem is easy enough to rectify, but in comparison to other consoles and shared online spaces, it’s annoying not being able to search via username. According to IGN‘s early access screenshot of the “Add Friend menu,” you can add friends through local connection, past online play, and any friends you might have made on Nintendo’s current list of mobile games. That list currently includes three games, Miitomo, Super Mario Run, and Fire Emblem Heroes. Friend codes are obviously for the security purposes, to make sure your little ones don’t add a troll or offensive persons by accident. However, for most fans, that’s what the parental controls should be for. There should be no need for a 12-digit code amongst older more responsible friends, the kind less likely to press a button just because they can. Are you sorry to see the reappearance of friend codes? Let us know your thoughts in the comments below!